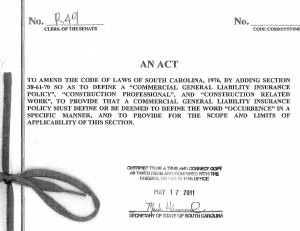 Governor Haley signed S. 431 into law yesterday. 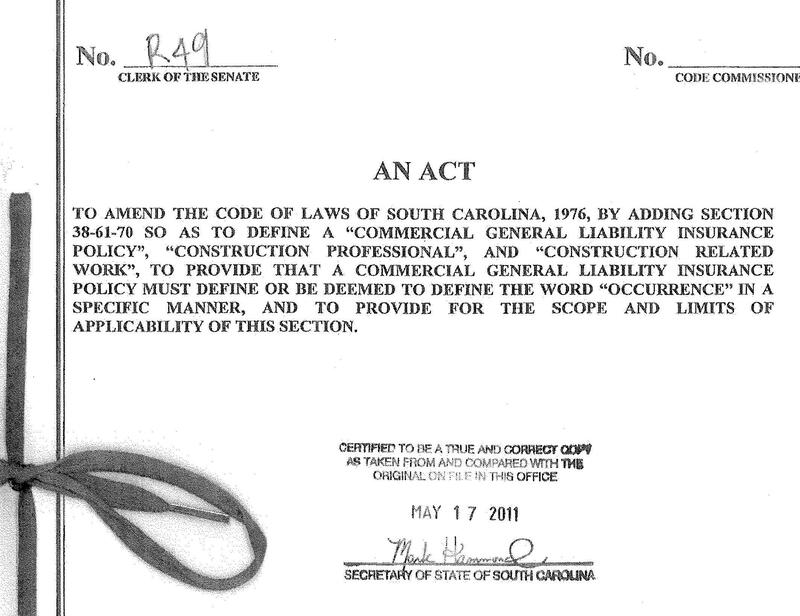 Recall from my earlier posts that S. 431 was introduced to address the S.C. Supreme Court’s decision in Crossmann. In Crossmann, the Supreme Court drastically curtailed coverage for losses arising out of defective work. 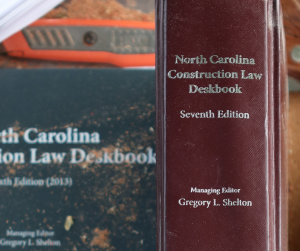 The construction industry was understandably alarmed by the court’s ruling, and acted quickly to legislatively “overrule” the Crossmann case. S. 431 has flown through the process with no notable opposition. Interestingly, my insurance broker contacts are pleased by the decision. This may seem counterintuitive, but I suppose its harder to sell a CGL policy to a customer who doesn’t see any value in the product. Now that S. 431 is the law of the land, contractors, insurance agents, and attorneys can continue on as if Crossmann never happened.